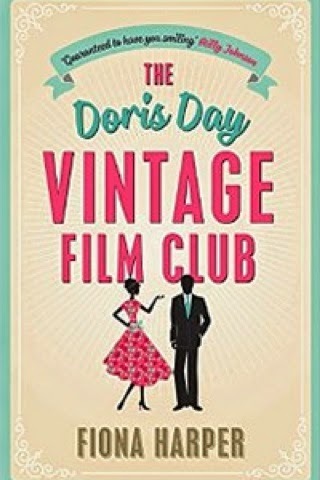 You are in for a real treat today because Fiona Harper, author of the Doris Day Vintage Film Club is here on the blog to answer my burning questions about her books and her writing process, plus of course the all important 'what are you working on now?' question! Thanks so much top Fiona for answering my questions and the book is out today so go and get your hands on it now! First question - bit of a cliché - how did you get into writing? I was desperate for something creative to do when my kids were small, other than making smiley faces with their dinner ingredients – something that didn’t involve having to find babysitters or expensive equipment! And one day I had an idea for a story. I’d loved English and school and had always had one of those thoughts in the back of my head (as many people do) that I’d like to write a book one day, so I decided to dive in and give it a go. I’ve written full-time for the last three years, but my first book was published in 2006, so I spent a lot of years juggling family and part-time job alongside the writing too. I’ve tried to write dark and edgy, but somehow I can’t stop myself injecting a bit of humour into everything I write! Quite a few of my friends say that they can hear my voice in their heads when the read my books, so I think a lot of my personality comes out in my writing, which means I must be friendly, optimistic and just a little bit daft. I have noticed a worrying desire to kill characters off recently, though, so maybe I need to write a thriller and get it all off my chest? I try and dig deep and find out what my characters’ emotional journeys are going to be before I write. I ask myself what their fears and flaws are, what they’ve got to learn, and then I try and create a plot that’s going to push them right out of their comfort zones so they learn those lessons. I don’t base my characters on real people, because then I’d run into the problem that they might not act in the way the story requires them to. I do borrow little traits or quirks from people occasionally, though, so watch out! What was the inspiration behind The Doris Day Vintage Film Club? I watched a documentary called ‘Sentimental Journey’ about Doris Day’s life and realised that there was a lot more than met the eye to America’s favourite sweetheart. She’d been through a lot of tragedy and hard times and yet had still come out the other side smiling, and I could see how a modern-day heroine might really want to emulate that. Basically, I keep writing until I get stuck, then I do my accounts, then I clean the bathroom, then I go and watch lots of Judge Judy. Eventually, I panic that I’m not going to meet my deadline and I make myself get going again, usually by messing around with index cards on a corkboard and highlighting things on Post-it notes. Thank goodness for colourful stationary! I think it’s a vital part of my unblocking process. 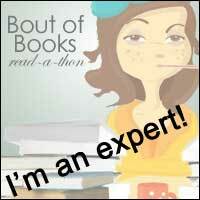 How much of you is reflected in your novels? What kind of research did you do before/during writing The Doris Day Vintage film Club? Oh, it was such a grind, I can tell you. I had to watch as many Doris films as I could get my hands on, especially Pillow Talk, as the plot of The Doris Day Vintage Film Club is very loosely based on that movie. I think I managed to watch about 30 of her 39 films. I also watched any documentaries I could find and read Doris’s autobiography and a couple of biographies. For a while there, I could regurgitate just about any Doris Day fact you could care to mention. I also spent a lot of time on Pinterest looking at all the amazing clothes she wore. It was some of the most fun research I’ve ever done for a book. Do you have any plans to develop your novel further, write sequels, turn it into a series? I think sequels are really tricky to write, unless you have a killer idea for them. As much fun as it is revisiting the same characters, if you’ve said everything you needed to say about them the first time around, you can end up with a really flat second story. I’ve tried to link a couple of my recent books with the minor characters. Peggy appears in both The Little Shop of Hopes and Dreams and The Doris Day Vintage Film Club, for example. Actually, I’ve emails from readers, asking if I’m going to give Peggy a book of her own. I’ve a soft spot for Peggy, so if the right idea lights up between my ears, I might just do it. More than I should! I know some people don’t read the reviews, especially the bad ones, but I actually think the not so great ones can help you learn about your writing. If the same comments keep turning up again and again, I’ll have a good hard think if there’s a good point there. Reading the nice reviews is lovely, but you definitely need a thick skin for the one-star variety! Very, even though I kept it almost a complete secret until I got my first contract! The hard thing is training my family to understand that I do actually have a proper job, even if I’m at home all day. I must admit, this was especially difficult during the Doris Day research – I’m not even sure I was convinced I was hard at work when I was watching Rock Hudson sweep Doris off her feet again and again. How did you feel leading up to your publication day? Very excited! I think this is one of my favourite books to date, so I’m thrilled to see it going out into the world, but I’m always a little scared too. It’s a bit like sending your kids for their first day at Primary School (although with fewer tears on my part). I like reading anything that has a great story that grips me and won’t let me go. I know I’m onto a good book when I can’t even put it down when I’m cooking. Recently, I’ve really enjoyed some of the young adult fiction out there, like The Hunger Games series and Divergent, but I also like emotional stories that make me think, snappy rom coms and twisty turny thrillers. I’m continuing the movie star theme and working on a story about a heroine who’s seeking to emulate another Hollywood leading lady – but this time she’s not sitting and watching her idol’s films; she’s getting on her dancing shoes! I’ll leave you to guess who the screen siren is – for now! And bonus time-the lovely publisher of this book are going to be running a (rather exciting!) Pinterest competition as part of the campaign for The Doris Day Vintage Film Club, giving one reader the chance to win a Vintage makeover with stylists Lipstick & Curls for themselves and a friend. Here's the link and the website-good luck!